Once a Maverick, always a Maverick! Wherever you go after graduation, you'll always be connected to your fellow Mavericks. Founded in 2010, the UNO Young Alumni Academy generated national recognition in 2012 as best new alumni program. More than 200 young alumni have taken part in the eight-month leadership development program, specifically designed for alumni 35 and younger. Sessions are held at unique locations on and off campus. UNO leaders also address members on topics such such as athletics management, student focus and community engagement. The entire program is free to Academy participants. Being a UNO alum has its perks. In addition to being connected to Mavericks around the globe, UNO alums also have access to great resources on campus and in the community. Career development, networking, and even insurance discounts and travel packages are all at your fingertips. Even your alumni card comes with benefits. The Maverick Monument was a gift from the Alumni Association on the occasion of their 100th anniversary, and stands in front of the Health and Kinesiology (H&K) Building. The eight-foot high bronze bull statue doesn't just represent the university’s mascot -- it symbolizes the determination, pride, and success of our students, graduates, and the community. An exact replica of the monument's head and shoulders stands outside UNO's Baxter Arena. Mavericks choose their own path, and the new UNO Fund hopes to connect you more directly with your passions at UNO. 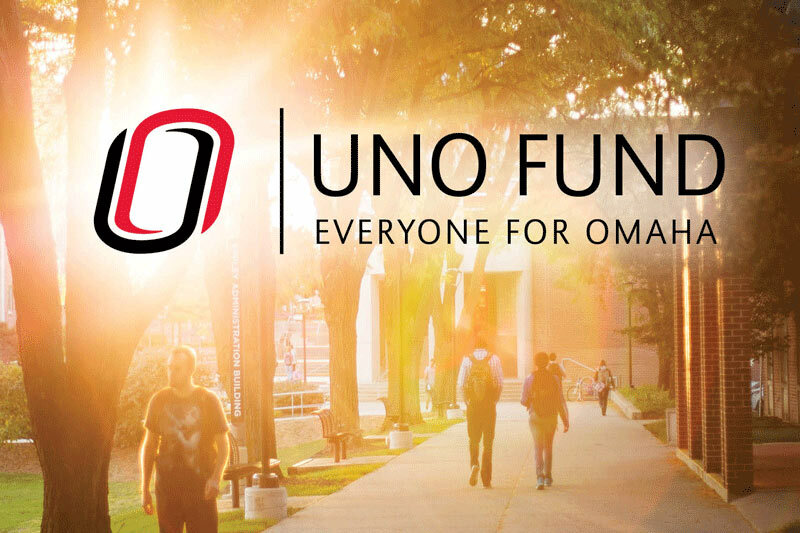 The UNO Fund puts the power into your hands–you decide how your donations are best spent at UNO.